Played college basketball at Oral Roberts University (2003-07). Moved to Germany for the 2007-08 season, signed by TBB Trier. Moved to Belgium for the 2008-09 season, signed by Dexia Mons-Hainaut. Signed for the 2009-10 season by BC Oostende. Signed for the 2011-12 season by Spirou Charleroi. Moved to France for the 2012-13 season, signed by Entente Orleans 45. Moved to Italy for the 2013-14 season, signed by Dinamo Sassari. Moved to Spain for the 2014-15 season, signed by Malaga CB. 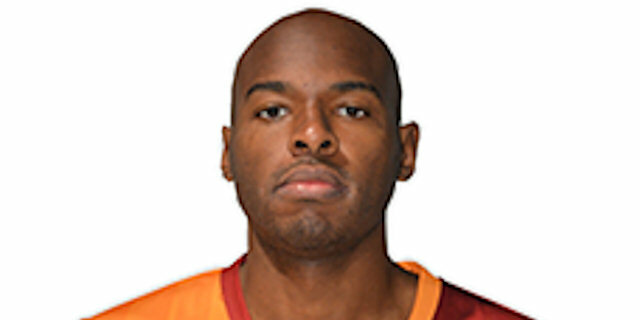 Moved to Turkey for the 2015-16 season, signed by Galatasaray Istanbul. Won the 2016 Eurocup with Galatasaray Istanbul. Named to the 2013-14 All-Eurocup Second Team. Named the 2013-14 Eurocup Last 32 Round 6 MVP. Won the 2010 Belgian National Cup with BC Oostende. Won the 2014 Italian National Cup with Dinamo Sassari. Played the 2008 German All Star Game. Named to the 2003-04, 2004-05, 2005-06 and 2006-07 All-MCC 1st Team.